How can I avoid peak-picking the contaminants, salt-front, and other unwanted ions in my samples? If, after reviewing your ion intensity maps at the Import Data screen, you’ve identified the presence of contaminants either at the start or end of your run, you might choose to remove these unwanted ions from your analysis. 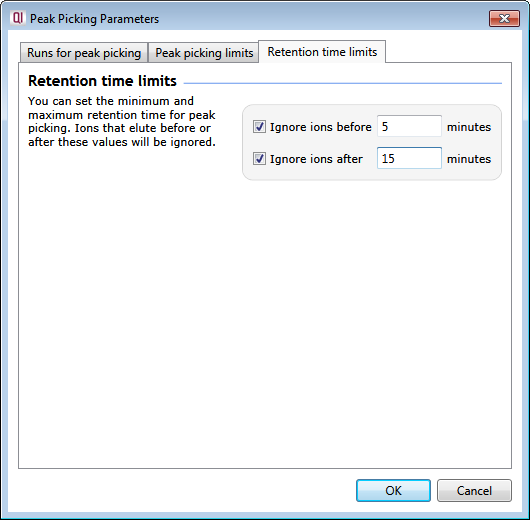 You can do this by setting retention time limits in the Peak Picking Parameters window; ions eluted before or after these specified times will be ignored. 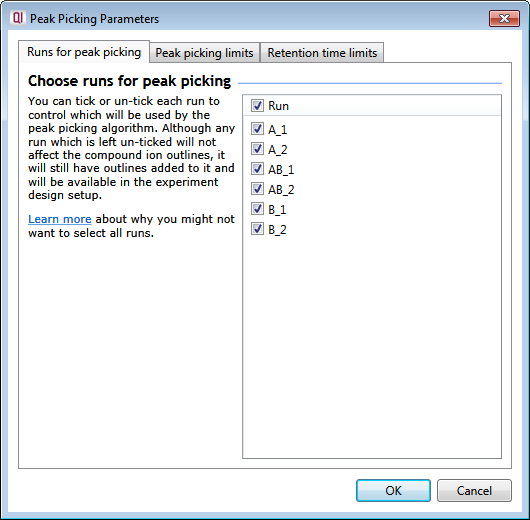 The example above would result in excluding the first 5 minutes from detection, and also any ions eluting after 15 minutes.